Little Gull And Sanderling01485 512546work Self-cateringThese comfortable cottages set in extensive grounds within easy walking distance of beaches and countryside. 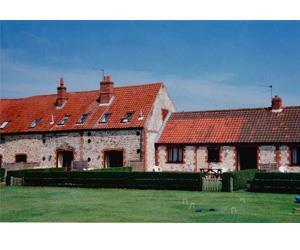 Ideally situated for family holidays and bird watching, both cottages sleep 4. These comfortable cottages set in extensive grounds within easy walking distance of beaches and countryside. Ideally situated for family holidays and bird watching, both cottages sleep 4. The cottages have newly equipped kitchens with dishwashers, one double and one twin-bedded room. Cot and high chair available. Little Gull is single storey. Own gardens with barbecue and garden furniture. Ample off road parking. Outdoor sports area, electric/gas cooking, gas/electric fires, fridge, electric shaver points. Children welcome from any age. From King's Lynn follow the by-pass and keep on the A149 to Hunstanton. Drive through Hunstanton, keeping on the A149 and through the villages of Old Hunstanton and Holme-next-the-Sea. Coastal bus service from King's Lynn bus station stops in Thornham. Alternatively, there is a regular bus from King's Lynn station to Hunstanton, taxi from Hunstanton to Thornham. This bus links in with the trains.